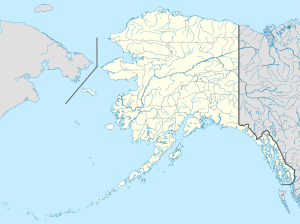 Angoon is a city in Alaska. About 540 people lived in Angoon in the year 2002. ↑ "WelcometoAlaska.com". Angoon, Alaska. Eddystone Creations. Retrieved June 11, 2007. This page was last changed on 14 November 2017, at 01:00.